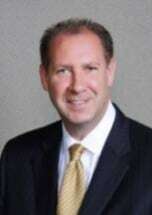 Brian Weidner has spent his professional career as a defense attorney and trial lawyer. He has been with The Tarantino Law Firm and its predecessor, Brown & Tarantino, for over 16 years and has been a co-managing partner for over eight years. After graduating from Ohio Northern University's School of Law, where he was a member of the Law Review and a recipient of an American Jurisprudence Award for Academic Excellence, Mr. Weidner was admitted to the New York State Bar in 1985. Since his first trial in 1988, Mr. Weidner's focus has been defending clients at trial. Presently, Mr. Weidner primarily defends physicians and medical groups accused of medical malpractice or who are the subject of investigation by the NYS Office of Professional Medical Conduct. Mr. Weidner has defended numerous physicians at trial, including those specializing in anesthesiology, cardiology (interventional and non-interventional), cardiothoracic surgery, colorectal surgery, emergency medicine, family practice, gastroenterology, general surgery, hematology, infectious disease, internal medicine, neurology, neurosurgery, orthopedic surgery, obstetrics and gynecology, ophthalmology, otolaryngology, pediatrics, physical medicine and rehabilitation, plastic surgery, psychiatry, pulmonology, radiology (interventional and non-interventional), urology, and vascular surgery. Mr. Weidner has also defended physicians at hearings conducted by the OPMC. Mr. Weidner has also defended physician assistants, nurse practitioners and nurses and has been involved in defending nursing homes sued for negligence causing injury to facility residents. Mr. Weidner has experience in handling construction law claims, including those arising under New York State Labor Law §§ 200, 240(1), and 241(6). Mr. Weidner has counseled general contractors, sub-contractors, construction managers and property owners in a wide array of construction related litigation. In addition to defending medical malpractice lawsuits, Mr. Weidner has also tried cases involving legal malpractice, injury related to motor vehicle accidents, slip and falls, assault, premises liability, false arrest and malicious prosecution. Mr. Weidner has been AV Preeminent* peer-review rated, the highest rating, through Martindale-Hubbell for both ability and ethics. Additionally, Mr. Weidner has been elected to the Western New York chapter of the American Board of Trial Advocates and the Litigation Counsel of America. Mr. Weidner has also been selected for inclusion in New York Super Lawyers from 2008 to the present and has also been included in The Best Lawyers in America since 2011. Mr. Weidner has frequently been an invited lecturer at continuing legal education seminars, as well as continuing medical education seminars. In that regard, he has spoken on topics ranging from Informed Consent to Defending Medical Malpractice Lawsuits. Mr. Weidner is a member of both the New York State and Erie County Bar Associations and has an active committee membership with the latter.